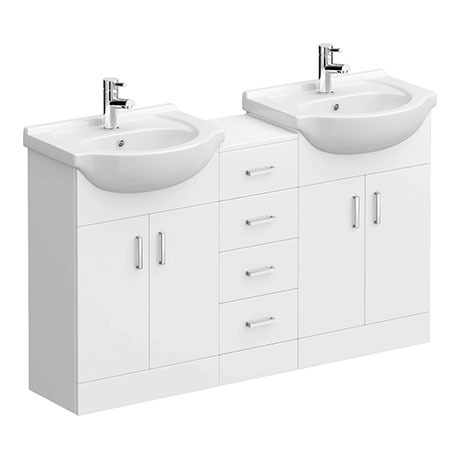 A 1400mm wide high gloss white free standing double basin vanity with 4 drawer unit is ideal for busy bathrooms, part of the Cove range of bathroom furniture. Features soft closing doors with modern chrome handles. Provides generous storage space for your toiletries, helping to keep your bathroom clutter free. Ideal for giving your bathroom a fresh clean modern look. Make the most of your bathroom with our practical and attractive white gloss furniture options. 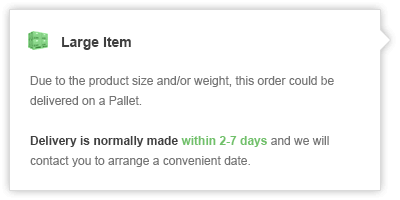 Can be used in conjunction with 300mm depth furniture from the Cove range (not compatible with Alaska furniture).